The year was 1985. Harpreet Singh Chhabra, managing director of the 175-year-old company Baby Brand Saffron, was on his fifteenth visit to the Kashmir valley; this time for his honeymoon. He had been going there for as long back as he could remember. The Amritsar-based business his grandfather had set up was based on saffron: the family has been important dealers in the spice for nearly two centuries. As Harpreet and his bride lounged in a shikara on Dal lake, a small boat came up next to theirs. A salesman drew out a battered tin with a flourish. Inside was a pile of what could pass off as saffron. Even today, these salesmen are a common sight, and they continue to sell “genuine” saffron without any assurance or guarantee. This salesman was confident that he had got a pair of naïve fools and, as they showed a modicum of interest, he raised his pitch by a notch or two, keeping his boat abreast of Chhabra’s shikara. Harpreet played the gullible tourist to the hilt. He looked at the saffron, pretended to examine it carefully, sniffed it for aroma and, when the salesman suggested that he place a strand on his tongue and let the aroma fill his senses, he did just that, even rolling his eyes as if in ecstasy.  Harpreet knew with a glance that the tin contained little more than shreds of coloured paper. The salesman never did find out that it was he who was the credulous chump, and that the “tourist” would, by 2000, buy around 50 per cent of the entire saffron crop of Kashmir—the genuine crop that is—every year. Thirty odd years later, saffron is just as precious and there are as many conmen around now as there were in 1985. The world’s costliest spice attracts sharks, confidence tricksters and scam artists as a magnet does iron filings. It is not just Kashmir either. I once visited a tiny handicrafts shop in Toledo, Spain, where saffron was being sold in quirky glass bottles by an old lady in a funky headscarf. I bought a bottle, and after I came back to Delhi, took it to bona fide dealers for certification. They told me I had bought three-year-old Iranian saffron that had lost most of its strength. There are very few places in the world that have the right climatic and soil conditions, combined with cheap labour, that allows for saffron to grow. Saffron is the name given to the spice obtained from the three maroon stigmas of the plant Crocus sativus. It has been around for an estimated 3,000 years, despite the fact that it requires human intervention to plant the corms (a short underground plant stem or bulb), since it is a sterile plant, incapable of reproduction on its own. At every stage of its history, every saffron plant has had people who have cared for it, planted it, transported it to various locations and used it. You can’t say the same for other spices. A short distance from Srinagar is the town of Pampore, the only place in Kashmir—indeed India—where saffron grows. Drive through the cluttered marketplace and you’ll come to miles and miles of rolling plateau, an abrupt topographical departure from the broad river valley of Srinagar. For most of the year, there’s nothing very special about these dry brown fields, raked into tens of thousands of neat mounds. It’s only in November, when the fields are carpeted with pale mauve blooms of saffron that Pampore’s fame becomes apparent. It is the structure of families in Pampore—indeed, the whole of Kashmir—that makes cultivation saleable. Here, joint families have been the norm, with 15 members not uncommon. It is the family members that are pressed into service during the month or so of harvesting and processing. Without this large number of family members involved, paid labour would have to be procured, pushing up the price of an already expensive commodity. In the Western world, with nuclear families, hired help at European Union rates means saffron grown in Europe is significantly more expensive than its Asian counterpart. Besides Pampore, the spice is also grown at Kishtwar in the Jammu region, though Kishtwari saffron has dwindled to a fraction of its former yield. The saffron crop of Iran is centred around the holy city of Mashhad, in the Razavi Khorasan Province. Just as Pampore is an hour’s drive from Srinagar, Iran’s saffron-growing region too fans out in a circle, an hour’s drive from Mashhad. The Torbat-e Heydarieh region is eerily similar to Kashmir—vast, open countryside—though flatter than the rolling plateaus of Pampore. The biggest difference is that here, saffron is but one crop among many. In Mashhad, saffron grows alongside cotton, sugar beet and barley. There are other differences too. During harvest season, growers sometimes simply pluck the flowers and take them to the market where the pale mauve blossoms lie, out of the direct sun, waiting to be collected by the armload. They are then taken to a dealer’s house where they are sorted, dried and metamorphosed from a poetically lovely flower to the costliest spice in the world. In Kashmir, because of the way society is structured, a grower never need worry about not having enough hands to do the work. So piles of flowers for sale in a saffron market is simply not part of the Kashmiri landscape. Go to a saffron dealer in Mashhad—where the traders tend to be—and you’ll see rooms lined with shelves like a bank vault, packed end to end with enormous plastic bags of saffron. There’s a carefully coded method to the placement of the bags. What bag to show to which customer is an unspoken art. n the bazaar around the tomb of Imam Reza saffron was just one of the items on sale, but there was a lot of it and in all shapes and sizes. Sugar candy on sticks, like lollipops, but coloured with saffron, to stir your tea with, saffron tea, saffron extract, saffron powder, saffron strands—the range was much more visible than anywhere in Kashmir. It was also in Iran that I first heard of saffron biologists and a saffron research centre. That many countries have research centres for rice and wheat is expected; but a worldwide community of saffron biologists was, to me, surprising. Yet there are, from those countries where saffron is grown, but also others that have experimental farms that produce insignificant quantities. Hence, the symposiums are attended by saffron biologists from Spain, Italy, Greece, Iran, Afghanistan, Brazil, Argentina, UK, China and Japan. According to Vinayak Razdan, scholar of Kashmiri history and culture, there is a legend about how saffron entered the Kashmir valley. Vagbhata, the famous Ayurvedic physician who lived in the 6th century CE, had a patient with an eye complaint. No remedy had any effect. Finally, suspecting that the patient was a serpent deity (every spring in Kashmir had a specific serpent deity), Vagbhata asked him outright. When the patient identified himself as a Nag or demi-god associated with a spring, Vagbhata knew that the remedy had to include binding his eyes so that the fumes from his breath would not hamper the treatment. It worked, and the Nag presented Vagbhata with saffron corms in gratitude. To this day, the fresh water spring of Takshak Nag at Zevan is visited by pilgrims and its water is considered sacred, not to mention that geographically it is indeed close to the area where saffron grows. Saffron is widely thought to have been first grown in Croycus (now Korghoz) near Syria, from where the Arabs are said to have taken it to Spain in 961 CE. Literary references provide clues about the origins of saffron in the Kashmir valley. When Kalhana wrote his Rajataringini or Chronicle of Kings in the 11th century, one of the crops he mentioned is saffron. And after Kashmir became a part of the Mughal empire in 1586 CE, Emperor Jahangir remarked on how the blooming saffron fields in Pampore caused him to feel drowsy, as referenced in the Tuzuk-i-Jahangiri. rowing saffron requires back-breaking work. Saffron flowers grow from corms and bloom for just one month, always in autumn. The flowers have exceedingly short stems so, to delighted onlookers, it looks like the world’s largest carpet—possibly the prettiest too. However, to owners it means hours of back-breaking work because machines cannot take the place of human labour, much like tea estates. Each pale mauve blossom contains three yellow stamens and three maroon stigmas attached to a white style. Each corm yields anything from one to five blossoms that open at dawn. When a blossom is ready, it has to be plucked before sunrise, else the sun would weaken the colouring power of the trumpet-shaped stigmas. This means about six to eight hours of bending double, every day, for at least two weeks in the year. That’s not the end: there’s more labour to make sure that the Crocus sativus transforms from a flower to a spice. The style has to be separated from the stigmas, and the quite worthless stamens have to be discarded. Next, the stigmas have to be dried in a process called fixing, and the more expeditiously this process takes place, the better the flavour and colour of saffron can be ‘fixed’. In Spain, the process is done over gentle heat, but in Kashmir the saffron is dried in the shade. It is at this stage that rapid degeneration can take place, and experts have noted that Kashmiri saffron growers should put into place a system, not necessarily high tech, where a day’s picking can be dried in one hour instead of the three days that it currently takes. But then, experts have been pursing their lips at many of the goings-on in Pampore. There is no irrigation system in place, no de-weeding, no pest control and no digging up of the corms every three years, as is the international norm. Nothing seems to be ploughed back into the system that is laying the golden eggs, as Harpreet Chhabra, puts it. In fact, we don’t even know how many golden eggs the goose lays. This is because landholdings in Pampore are in the hands of private families. In the absence of anything remotely resembling a wholesale market, purchase of fertilizers, a taxation system or a village co-operative, all one can do is guess. For example, it is known that it takes 150,000 flowers to make 1 kilogram of saffron, and that Pampore’s production is between 15,000 and 20,000 kilograms. Given that one acre produces around one-and-a-half to two kilograms (whereas, optimally it should produce 5 kilograms), this means that there are probably 15,000 acres of land under cultivation, looked after by around 20,000 families. What we do know, beyond doubt, is that Kashmiri saffron has the thickest, longest stigmas and that the flavour is far stronger than its Iranian counterpart. It would be tempting to call it the “best saffron in the world” but such claims invariably produce a host of angry rebuttals. affron is used in various ways all over the world. Iranians have their rice, we Indians have our biryani, Italians have their risotto and the Spanish have their paella: all flavoured with saffron. Saffron has a special affinity with milk: Both are seen as rich and nourishing, and one is seen as a value addition to the other. Plus, milk is the perfect medium for conveying flavours, no matter how subtle. In India, when saffron has to be used as a cooking ingredient, it is frequently soaked in warm milk, or rose-water in the case of sweet-makers, so that it releases its colour and flavor. In Iran where saffron is used in many dishes, as you would expect from a country that produces ten times as much as India does, saffron is rarely soaked in warm milk, or even water. It is often ground to a paste in a marble mortar and pestle. Grinding is the thrifty way of ensuring that even the smallest possible amount is added to the food and in Iran this expensive ingredient is used more or less regularly. The more you grind it, the more the flavour develops, possibly because of the warmth that the friction of two stones produces. The only time I’ve seen it done here is by sweet makers, who are principally from Bengal. In Marseille, France, the classic bouillabaisse, or seafood stew, uses saffron. (Curiously enough, saffron is never used with fish in India.) Bouillabaisse originated as a fisherman’s quick stew, where at least six types of rock fish was thrown into a pot at the docks, boiled and reduced (bouillabaisse is derived from two words that mean precisely this) because no paying customer would buy these varieties. In neighbouring Spain, paella is rice cooked with seafood or with chicken wings and rabbit meat. Whatever the other ingredients, paella is always flavoured with saffron. In Italy, risotto atta Milanese has saffron in the recipe. There does not seem to be much saffron in sweets in the Western hemisphere; the Italian Christmas cake panettone makes use of saffron, and there may be a couple of others, but that’s about it. In India, saffron is used in sweet as well as in savoury dishes and its usage is more prominent in the northern and the western parts. Besides biryani, it is frequently used in kebabs and kormas, particularly those whose base is cashew-nut paste and, to a lesser degree, curd. That’s because these curries are generally milder and you shouldn’t use saffron as one element among a dozen others. A curry with cloves, cinnamon and cardamom, fried onions or red chillies is an unsuitable vehicle for this delicate spice. As for sweets, it is used often in rice and milk-based puddings and in sweets made with reduced milk. Kashmir, however, breaks all rules of saffron usage. It is used by every household to make kahva, the subtle tea made with “green” tea leaves, brewed with saffron, cardamom, sugar and rose petals into a pale-coloured liquid that is a work of art as well as a marvellous digestive. And no wazwan, or banquet, is complete without lashings of saffron-infused water being poured atop ristas and rogan josh. Contrary to popular wisdom, all wazwan dishes of which it is an integral part, are rich with other spices as well, and have strongly flavoured bases, of which fried onions are only one example. And, in a radical departure from the worldwide norm, the milk or curd based dishes in Kashmiri cuisine never have saffron. Saffron is used in the greatest quantities by the Vaish and Marwari communities. In fact, it is one of the enigmas of the spice world that an upper-middle-class household in Kashmir would never use as much saffron as its counterpart in Gujarat or Rajasthan. In the Vaish community, where new mothers and guests are considered next to God, dishes are devised to pay obeisance to this nexus, as the gods themselves are said to be saffron-hued. New mothers are fed chapattis flavoured with saffron for the first 40 days; and a sherbet of saffron and pounded almonds is served to guests. So sacred is the spice that it is often stored in a container made from pure silver. Saffron is also used in worship: Almost all priests throughout the country make the Navgraha or grid of nine squares (representing the nine planets), for every puja, whether it’s for a new house or office space or for the success of a Bollywood film, and invite the gods by offering saffron paste. In Tirupati, till today, laddoos have a small quantity of real saffron. The idol of Venkateshwar, an incarnation of Vishnu, is bathed at 3.50 a.m. every day by a host of priests with an amalgam of sandalwood powder, honey, tulsi, curd, ghee and saffron. Saffron is also used to ritually bathe the 58-foot idol of Bahubali at Shravanabelagola in Karanataka. The ritual bath is performed once every 12 years by erecting a scaffolding atop which priests stand to pour thousands of pots of milk, curd, ghee, saffron, coconut milk, poppy seeds, almonds, gold coins and other substances. With each application, the immense statue changes colour. Swetambar Jains, who also worship idols, ritually purify them on festive occasions with a mixture of oils and unguents, of which saffron is one. The cosmetic industry is a large user of saffron because it is believed to promote fairness. That’s the reason expectant mothers are fed milk into which a few strands of saffron have been soaked. Whether it actually helps a couple to have a fair baby is a hotly debated issue but what has been fairly well-established by Ayurveda is that saffron is good for the texture of the skin. It is also considered to be a brain stimulant, a cure for asthma and an aphrodisiac. has written about food for the past three decades for a number of publications including the Times of India. Netas are in their element, doing whatever is necessary—from the profound to the comic—to get votes: all living in a morally ambiguous universe where it’s difficult to tell right from wrong. Who let the water into my city? 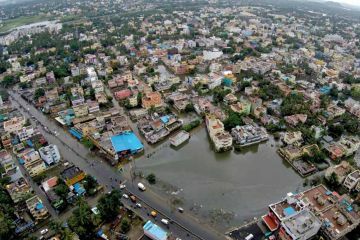 As Chennai picks up the pieces, the question everyone is asking is: how could this happen in a modern metropolis? 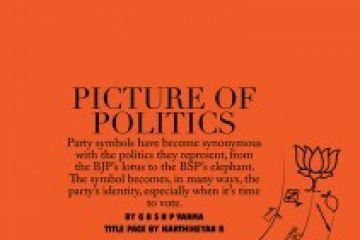 Party symbols have become synonymous with the politics they represent, from the BJP’s lotus to the BSP’s elephant. The symbol becomes, in many ways, the party’s identity.